What a great opportunity to invite managers and supervisors in your organization to join you for this informative session where you will learn a new approach to conflict management. Conflict is inevitable and happens in the workplace each day. Discover the truth about what conflict really is, and learn about conflict in a way that applies to you personally. Recognize the physiological signs of anger and personal triggers with this tool provided by Beth McGrath and the Conflict Center. Join us on Wednesday May 15, 2019 to learn more! 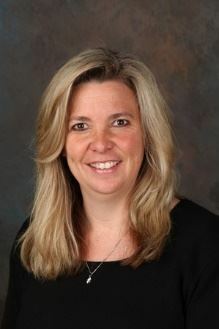 For more than 15 years, Beth McGrath has provided training and consulting in a wide variety of topics including Leadership for Non-Managers, Conflict Management, Mediation, Negotiation, Effective Communication, Business Communication, Public Speaking, New Supervisor Training, Team Building and more. Beth is certified to conduct DISC and Emergenetics behavior assessments to help improve team cohesiveness. Originally from Denver, Beth received her Masters of Science degree in Management and Masters of Arts degree in Conflict Resolution and Mediation from Regis University. She is currently the Professional Development Coordinator for the City of Grand Junction, where she lives with her husband and two golden retrievers. Saturday, February 18, 2017 The 4th Annual WCHRA Cork Pull Fundraiser! Wednesday, January 18, 2017 January Monthly Member Program - Happy New Year!